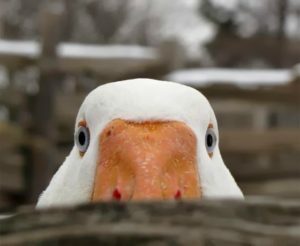 The anatidaephobic individual fears that no matter where they are or what they are doing, a duck watches. 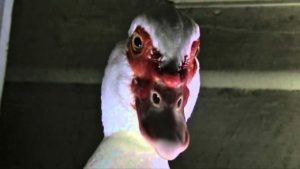 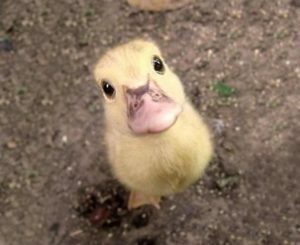 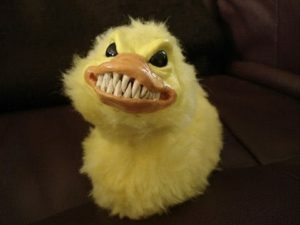 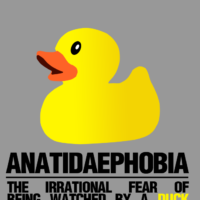 Anatidaephobia is derived from the Greek word “anatidae”, meaning ducks, geese or swans and “phobos” meaning fear. 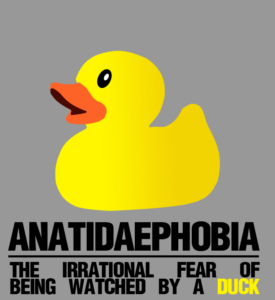 A:dude, Anatidaephobia is the coolest phobia ever!